Upon my return from a 100-mile bike ride in North Carolina this past weekend, I feel compelled to share my wonderful experiences with you! I was truly moved by the hard work the participants and the volunteers in the North Carolina area; they gave so much time and effort to make this event benefiting multiple sclerosis such a success. 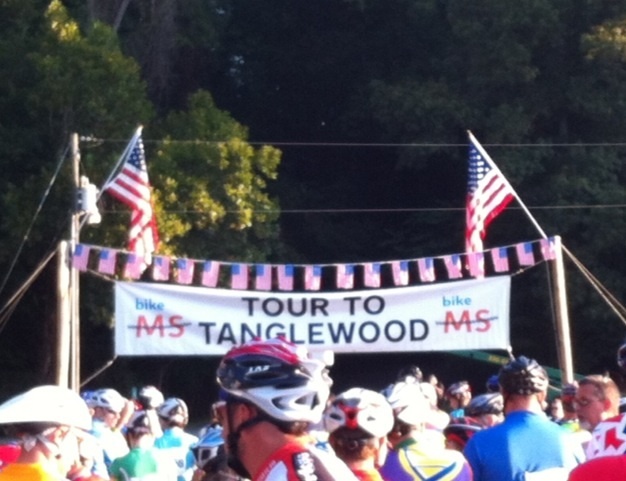 Many of the MS recipients were in attendance thanking and helping the riders throughout the race. Participants and sponsors raised almost $1 million from this one event! Team Canterbury (a small independent school in Greensboro) rose over $77,000 alone! There were hundreds of other teams who raised so much to support fighting this disease. The feeling of using my body to ride 100 miles in support of such a great organization was incredible. If you haven’t attended or supported an organization which supports such a great cause, please DO NOT hesitate! Find a 5K, triathlon or even a fun run/walk in your area, and get the whole family involved! It is truly an amazing experience and one I will never forget! Get passionate about an organization and support it to your fullest, and the experience will change your life!!! Learn more about MS at www.nationalmssociety.org!